Creating org charts can be a challenge, and it doesn’t take long before products like PowerPoint run out of steam when building and maintaining organizational charts. 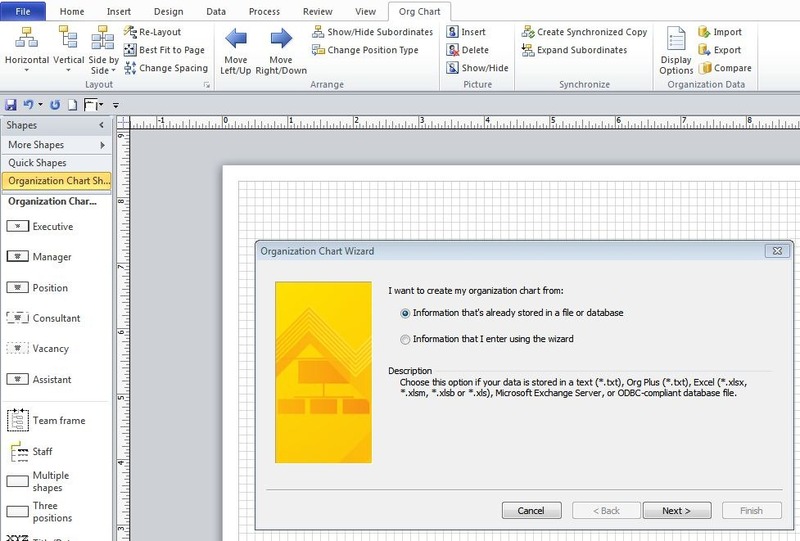 However, with a little preparation, charts can be created with Visio 2010 that are good looking, easy to maintain and can even be updated in Excel. We would recommend using the MS Excel import utility (part of the Org Chart Wizard) if you have more than a couple of charts to create. Follow these steps to build the MS Excel sheet. 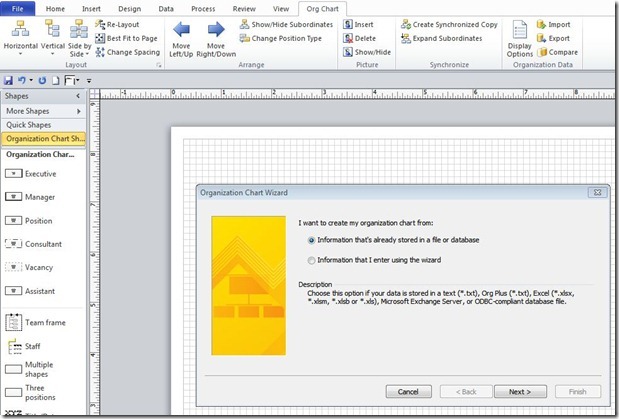 Once you have this file completed, you can use the import Excel file wizard on the Org Chart tab in Visio 2010. The import organizational data button on the top right hand side of the ribbon bar (see screenshot below). When selected you will see the Organization Chart Wizard appear on the screen. Follow the instructions carefully through each stage of the process.